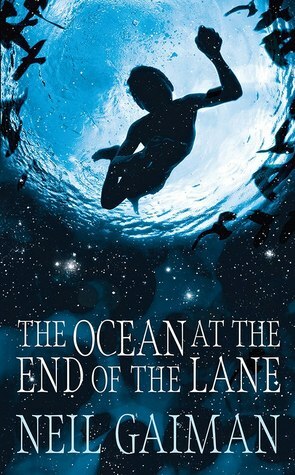 If I were inclined to be brief, I could probably just write the sentence “The Ocean at the End of the Lane is a Neil Gaiman book.” and leave it at that, because if you’ve ever read anything by Neil Gaiman (or blurber Erin Morgenstern’s The Night Circus), it’ll be enough. If I were inclined to be uncharitable, I might say something along the lines of “The Ocean at the End of the Lane is several of Neil Gaiman’s books.”, because there much of the book simply feels like a rehash of aspects of his previous works. 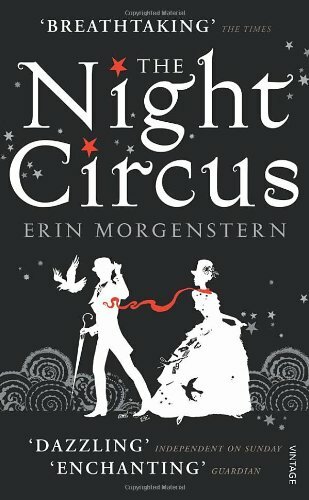 I think the best way to describe The Night Circus would be The Prestige meets Neil Gaiman. The basic premise is that of two magicians who are trapped by their mentors in a battle of skill that neither of them fully understands. The arena for the challenge is the titular circus, which, (you guessed it! ), only come out at night, and each move in the battle as it were is, is the creation or improvement of an aspect of the circus. Except everything goes awry when the two magicians fall in love and try to find a way to escape their inevitable fates. Authorial intent is a large part of literary criticism. Even in a post-Barthes world, it is impossible to completely separate the creator of a work from the work itself, and sometimes deeper knowledge of the author can affect a reader’s perception of their art. A good few years ago, during my first forays into the internet, I tended to frequent forums devoted to books, generally of the Young Adult Fantasy variety. I once spent a few days lurking around the official forum attached to the website of William Nicholson (co-writer of Gladiator, author of The Wind on Fire trilogy). I’d read and thoroughly enjoyed the first two books in his series, and was awaiting the publication of the third, and I imagine that was how I ended up on his forum. What I saw there, I didn’t really like. Unlike most places where people congregate to discuss works of fiction, Nicholson himself sometimes frequented the message board. Whether it was his intention or not, in most of the posts of his that I read he came across as an arrogant man full of disdain for his target audience who had come together to express appreciation for his work. When the final book came out, I found I enjoyed it significantly less than I had hoped, and unlike many of the books I read at that time of my life, I’ve never felt a desire to reread them. Nicholson had, by allowing me to learn a little of his personality, coloured my view of his work. That said, I still really appreciate and enjoy the works of Philip Larkin and Neil Gaiman, despite discovering the former’s racism and misogyny and being all but ignored by the latter at a signing at the Edinburgh Book Festival a few years ago. Yes I know how childish that last part sounds. In part, I suppose it depends on the level of my appreciation for the works initially. While Larkin and Gaiman rank among my favourite authors, Nicholson was overshadowed at the time by Philip Pullman, Garth Nix and Philip Reeves. This phenomenon is not always limited to written works. The Guardian recently “outed” punk-folk-singer/songwriter Frank Turner as a right-wing, libertarian, Europhobe. In retrospect, as the article says, we should have seen it coming; you only need to look at the track-listing for his latest album, England Keep My Bones, to see a level of patriotism uncommon in UK music. Somehow I had deluded myself into thinking that an Eton boy would have written songs in favour of social revolution from a leftist perspective. Instead, lines such as “If you steal the land of an Englishman/then you will know this curse/your first-born son’s warm blood will run/upon English earth” from English Curse are no longer declarations of socialist support against the wealthy/corporations, but nationalist declarations against the encroaching European Union. In a way, it doesn’t matter in the slightest, and this is just sour grapes because he doesn’t share my political beliefs. Turner has plenty of non-political songs which as still just as moving as they were before this revelation. But somehow it makes it much harder to appreciate songs like the aforementioned English Curse while knowing the author has commented on the Lisbon Treaty being the end of 800 years of parliamentary democracy, something I disagree with fundamentally. Am I just bitter at being “tricked” and making a fuss about nothing, or have other people had their appreciation of an artist/author sullied by knowing too much about them?